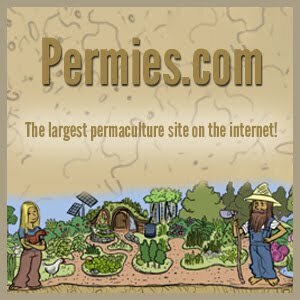 Katherine and I have noticed an unfortunate trend with blogs dedicated to cob building--they only ever show the building process. Too few "cob blogs" tell anything about life lived in a cob house. For those who are less concerned with the aesthetics of our house (name still pending) and more concerned with functionality, here are a few of my observations. As of today we have had several very hot weeks. Temperatures have been hovering around 90F for the highs and dropping to around 65F at night. This last week we were blessed with some rain and cooler weather with the high being around 80F and the low dropping to around 50F. The house has had two windows open constantly and a single small fan circulating air, the temperature inside fluctuates between 69F and 74F depending on the heat of the day. As anyone researching cob will know, cob has very little insulation, even with 18"-24" walls. Rather, cob's thermal mass works in in a very different way.The thermal properties of cob are speaking for themselves with these hot days. The walls soak up the heat of the sun during the day and release it in the cool of the night. Although I'm enjoying staying cool in the heat, I am excited to see how our house performs this winter. We just had several cords of wood delivered and waiting to be chopped. Our rocket stove should do very well at keeping us warm. Thank you for posting about what it is like to live in a cob house. I am very interested in the water and septic systems you will use. Can you elaborate please? Wow!!! This the new thing. I admire the valuable information you shared in your post. How was the Open House? It went great! Almost 100 people over the two days.